Get in touch with our friendly customer care assistants for a free and non-binding price offer for interior and exterior window cleaning now. Call 020 3746 1366 or fill up the contact form on our website. Gutter cleaning is crucial if you want to maintain your downpipes and gutters unclogged, and protect your property from water damage. Our skilled gutter cleaners will use advanced equipment to guarantee that all leaves, twigs, dirt and other debris are removed properly. A powerful water or dry vacuum cleaner is used. It has telescopic poles with tiny cameras, so that the cleaners have a clear view of any debris and get rid of it. Ashlee House Cleaning offers a month quality guarantee. If your gutters get clogged within this period after of the cleaning, we will send a cleaning team to unclog and clean them again for free! We have properly prepared and trained roof cleaners who will use effective jet washing gear to get rid of lichen, mould, algae, nasty stains and moss from roofing. House roof cleaning is important if you want your home to look good, and is also important because certain detrimental growths can actually “eat” and affect your roof if left neglected for very long. Our service is fully insured and at a fantastic price! For support with clean-up your roof & gutters, bear in mind to book our general window cleaning service right now! We have tailored a procedure for fast and straightforward bookings for our window cleaning Campden W11 service. All you need to do is make contact with our customer support service at by calling 020 3746 1366 or using the online booking request form. Choose any day of the year for the cleaning. 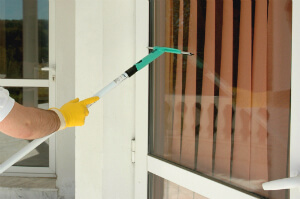 Our window cleaners will perform their job at fixed and acceptable prices. We won't ask you for a an upfront payment. You will receive an email and SMS validating your booking in the next 2 hours. For booking more than one of our services at the same time, we will compensate you with a price reduction of up to 15%.